The prison fence can be leveled or it can be installed on the H Post Fence to avoid climbing. The straight stab-type gillnet barrier belt is bound by a column and a general barbed wire transversely, longitudinally and obliquely into a gillnet barrier band. 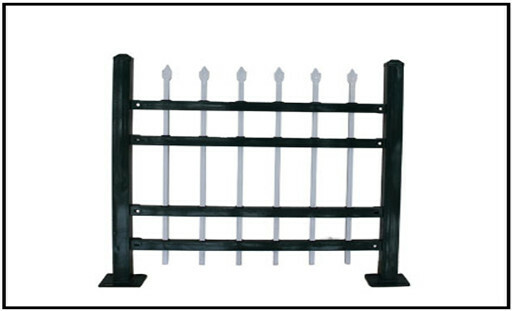 It is mainly used for special zones, military base protection, gully protection, simple installation, economical and durable. 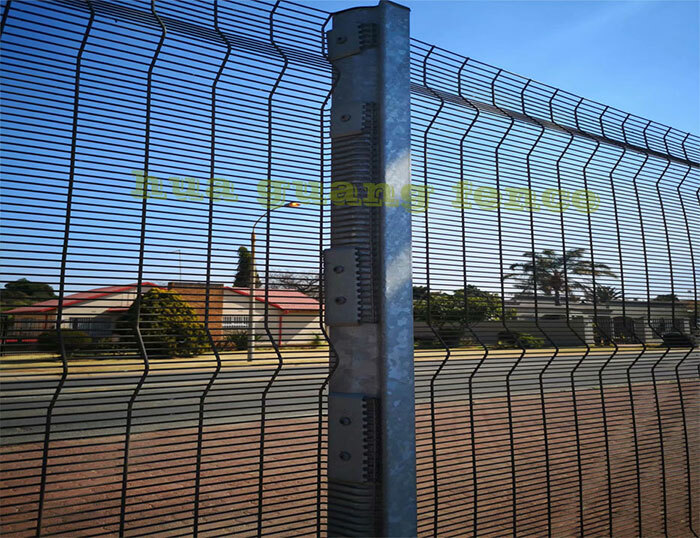 The Galvanized Panel Fencing, also known as the "Y-type safety protection net", is composed of a V-shaped bracket column, a reinforced welded wire mesh, a safety anti-theft joint and a hot-dip galvanized blade stalk cage to form a high level of strength and safety protection. These years, it has been widely used in high security places such as prisons and military bases. Note: If you add a razor blade and a lancet on the top of the prison fence, it is also excellent for safety protection. It adopts anti-corrosion methods such as electroplating, hot-plating, spray coating and dip-coating, and has excellent anti-aging, anti-sun and weather resistance. Its merchandise looks beautiful and diverse, which not only plays a fence effect, but also has a beautifying effect. Because it has high safety and anti-climbing ability, the mesh connection method adopts special SBS fastening parts, which can avoid artificial destructive disassembly and lateral bending of four reinforcing ribs, so that the strength of the mesh surface is obviously added. Next: Why Should Zinc Canada Temporary Fence Be Cleaned Before Preserved? 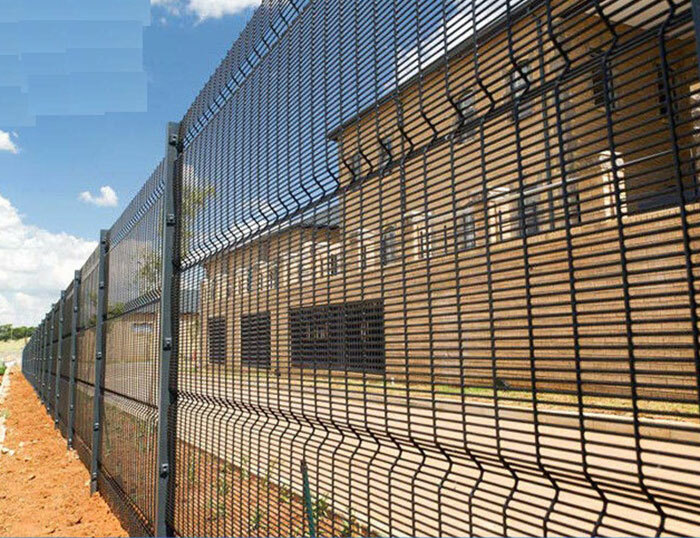 What Are The Advantages Of Barbed Wire Fences?